Every dollar means something these days. To save money, homeowners may choose to do plumbing work themselves; if they are capable and comfortable with doing the work. Do it yourself stores now sell all types of plumbing materials, many of these items are not approved for installation in Allegheny County, however. Many plumbing projects still require Plumbing Permits and Inspection before they are deemed useable and safe. The Allegheny County Health Department – Plumbing Division is responsible for ensuring these products and techniques meet sanitary and safety requirements. Only after Administrative Authority approval may these products be used. Just because a local home improvement store sells a plumbing product doesn’t make it legal to install. Home Improvement stores are there to make money; therefore they sell many products that do not conform to the ACHD plumbing code. Our plumbing code is there to protect all the citizens of our fine County. 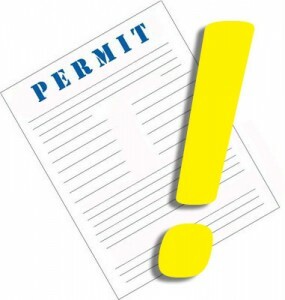 To insure proper materials and plumbing practices are observed please file your plumbing permits. A little research can save you money, time, and problems. The do it yourself fix can cost more than hiring a professional for your plumbing work. Make sure you file permits and install your plumbing to code if you are going to do it yourself or hire A Pittsburgh Plumber to do it for you. Contact A Pittsburgh Plumber for a bid. Unsafe conditions affect us all. That’s why plumbing codes exist. With all the new plumbing products and techniques available on the market, it’s hard to determine which ones are approved by the Administrative Authority. Refer to the IPC (International Plumbing Code) and then check to see if Article XV supersedes the IPC code for your project. If you are a resident of Allegheny County, the first place to start is the Allegheny County Health Department website – Plumbing Division.